I’m pleased to announce a great opportunity for you to pick up some fun Halloween reading material for a price that can’t be beat: free! 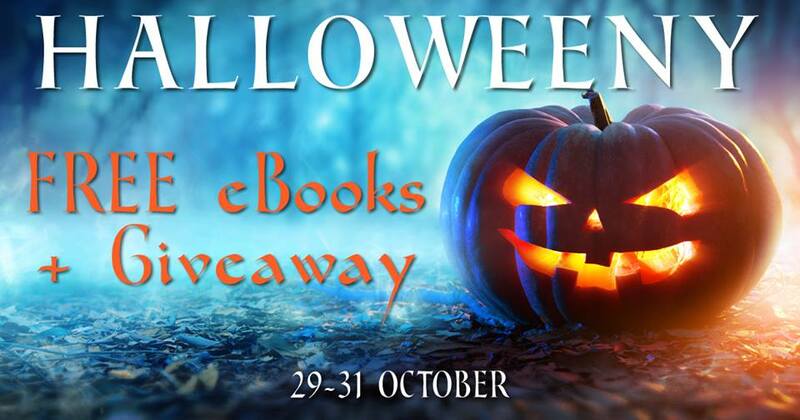 The Self Publishing Roundtable has put together a multi-author ebook sale with a Halloween theme that runs from October 29 to October 31. You can choose from a selection of more than 50 supernatural, paranormal, and horror stories that will spook up your Halloween spirit. Download one book or download them all. There’s nothing to lose except maybe some sleep when you find a story you can’t put down (or one that scares the beeboops out of you). While you’re there, be sure to enter the giveaway drawing. Click here to visit the sale page now and see all of the books. I’ve included First Moon in the offerings. It’s the first novel of my contemporary paranormal series, The Ternion Order. If you’ve been wanting to give it a try, now is the time! First Moon will be free during the Halloween sale and for the days on either side: October 28 to November 1. If you want to know more about the story, visit The Ternion Order series page on my publisher site or the First Moon book page on Amazon.com. Multi-author sales events like this one are a lot of fun because they are full of energy. You have authors excited about finding new readers and readers excited about finding great stories at a discount. Everybody wins!